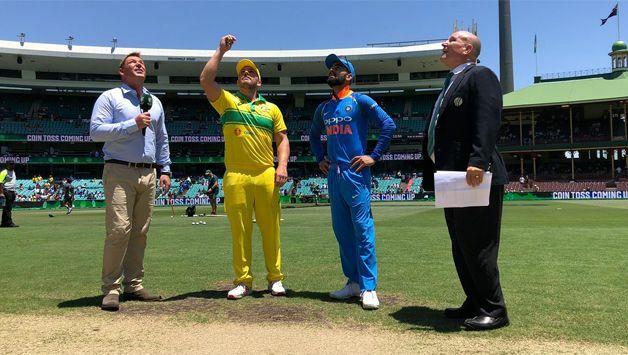 Australia captain Aaron Finch won the toss and elected to bat against India in the first ODI of the five-match series in Hyderabad on Saturday. India included Ravindra Jadeja in the playing XI in place of Yuzvendra Chahal, who has been rested. Australia: Aaron Finch(capt), Usman Khawaja, Marcus Stoinis, Peter Handscomb, Glenn Maxwell, Ashton Turner, Alex Carey, Nathan Coulter-Nile, Pat Cummins, Adam Zampa, Jason Behrendorff.